While the 1993 fourth-generation Camaro was very much new, it was shy of all-new; much of the floor stamping and all of the rear suspension was shared with the third-generation car. But with plastic front fenders, a new short-arm/long-arm front suspension, rack-and-pinion steering and a sleek new profile, the ’93 was new enough. 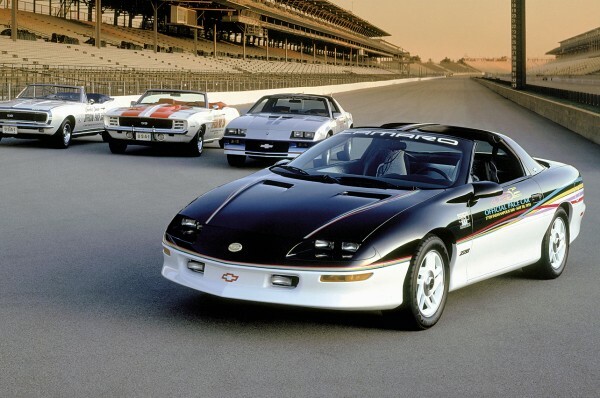 For ’93, the Camaro lineup was pared to two models: base sport coupe powered by a 160-horsepower 3.4-liter version of GM’s V6 and the Z28 with the Corvette’s 5.7-liter LT1 small-block V8 underrated at 275 horsepower. Once again, the convertible was gone. The black-roofed (no matter what the body color) ’93 Z28 was a stunner. The LT1 was easily the most powerful small-block installed in the Camaro since its namesake, the 1970 LT-1, and, considering the move from gross to net power ratings, probably even more powerful than that legend. 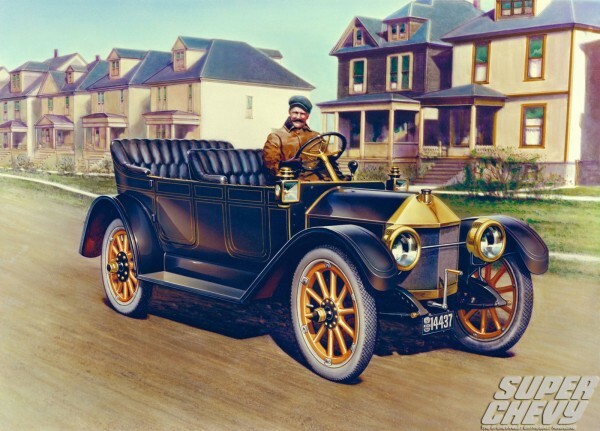 Behind it was either a four-speed automatic or six-speed manual transmission and 16-inch wheels and tires; and four-wheel antilock disc brakes were standard. With Z28 prices starting under $17,000, the value was just amazing. The most desirable ’93? Probably the black Z28 replicas of that year’s Indy 500 pace car. These replicas were identical to the actual pace car which, in stark contrast to the ’82, led the race with no mechanical changes. As expected, the convertible Camaro returned with the 1994 model year. Designed and built by GM at the St. Therese, Quebec, plant where all F-cars were assembled, the ’94 ragtop’s chassis was significantly stiffer than the previous convertible’s. Otherwise it’s almost impossible to tell a ’94 coupe from a ’93 unless one opens up the automatic transmission and finds that it is the electronically controlled version of the 4L60. While the 1995 Z28 received only minor changes (all-season tires and traction control were now available), the base Camaro added GM’s “3800” 200-horsepower 3.8-liter V6 as an option. The 3800 was both significantly more powerful and refined than the 3400, and by 1996 would become the only V6 in Camaros. With the adoption of the 3800 as standard power, the least powerful 1996 Camaro still had more power than the most powerful 1984 Camaro. Somewhat in celebration, the RS name reappeared on the V6 coupe as a spoiler and ground effects package. Meanwhile on the Z28 side, the V8’s output jumped to 285 horsepower and SLP Engineering brought back the SS name by adding engine tweaks and 17-inch five-spoke wheels wrapped with P245/40ZR17 BFGoodrich Comp T/A tires. The SS, with its 305 horsepower rating was the first factory Camaro to break the 300 horsepower barrier since 1971, and the first of any year using net ratings. To celebrate the Camaro’s 30th anniversary, Chevy introduced a specially optioned white Z28 with orange stripes and orange houndstooth upholstery (evocative of the ’69 Camaro pace car) for 1997. Otherwise, there were new “tri-color” taillamps for all models, and SLP produced an extremely limited run (106 cars) of 330-horsepower Corvette LT4 5.7-liter V8-powered Camaro Z28 SS models. The fourth-generation Camaro’s first (and only) extensive visual update came for 1998 with a new front fascia design. But the real news lay behind that face where the C5 Corvette’s new-age all-aluminum small-block LS-1 V8 took up residence in the Z28. 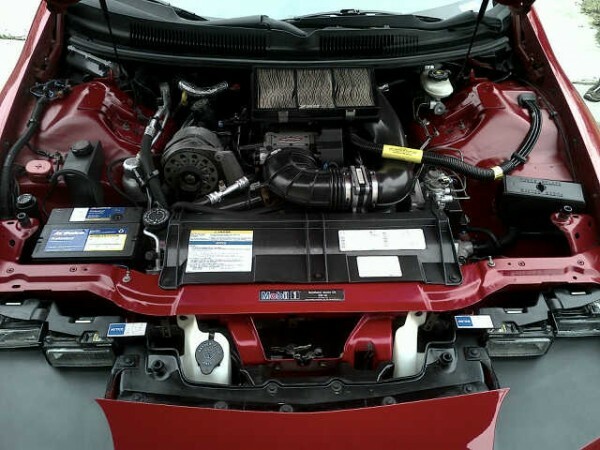 The 5.7-liter LS-1 was the first all-aluminum engine offered in a Camaro since the ’69 ZL-1 and carried a thrilling 305-horsepower rating (base Camaros kept the 200-horsepower 3800 V6). GM took over production of the SS itself this year, as well, with the ram-air induction system boosting the LS-1 to 320 horsepower. Except for electronic throttle control on V6 models, a new oil life monitor and a Torsen limited-slip differential, the 1999 Camaros were indistinguishable from the ’98 models. In turn, the 2000 Camaros were pretty much the same as the ’99s, except for radio controls integrated into the steering wheel, body-color sideview mirrors, some new interior fabrics and an optional 12-disc CD changer. By 2001, it was obvious that the Camaro’s days were numbered, and the only changes to the car were restyled 16-inch wheels, a new paint color and the unchanged LS-1’s output rating to 310 horsepower in the Z28. Grimly, the Camaro soldiered on into 2002. For the Camaro’s last year in production, changes were, understandably, minimal. Z28s got a new power steering cooler, the sound systems were revised and V6 convertibles got the automatic transmission standard, but that’s about it. Chevrolet did celebrate the car’s 35th year, however, with a special graphics package for the Z28 SS coupe and convertible. The flamboyant stripes and logos of the 35th Anniversary package were attractive in their own idiomatic way, but it was hardly the glorious send-off for which Camaro enthusiasts had hoped.